Dr. Diana Sensenbrenner practices dentistry in a way to provide a comfortable, predictable, and easy experience for her patients. She strives to improve her patients’ perception of what dentistry can offer. Through her more than 4 years at Ridgetop Dental, Dr. Diana has had the opportunity to learn from her patients how to work with them to manage their fears and anxieties and reach their goals. Her favorite thing about the practice is improving patients’ oral health while being able to do her dream job. Dr. Diana Sensenbrenner is a graduate of the University of Pacific’s Arthur A. Dugoni School of Dentistry. 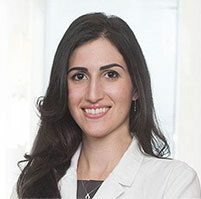 She received her bachelor’s degree from Stanford University and completed her Advanced Education in General Dentistry residency at Marquette University in Milwaukee, WI. As a member of the American Association of Cosmetic Dentistry, Dr. Diana is continually learning new techniques to enhance her patient’s smiles while ensuring the predictability that her patients deserve. Dr. Diana has also made it a point to receive additional training for dental implants, allowing her to provide the types of services needed to meet her patients’ needs. The Los Angeles native enjoys cooking, spending time with her husband Bob and rooting for the Green Bay Packers.